Growing up in Taiwan and Vancouver, I never really understood everyone's fascination with donuts. Then I moved to New York, and everything changed. I was ambushed with a newly found addiction to this godly creature they call Krispy Kreme, which at the time I believed to be the truest form of fried dough. But that was before I visited New Orleans, and sank my teeth into the first French beignet of my previously wasted life. Another window opened. I learned that an entirely different type of perfect donut can exist, even if it is worlds apart from the one I used to believe in. I was completely content. The idea to search for a third perfect donut seemed like utter greed. But the third perfect donut found me. A few years ago I took a trip to Taiwan, which at the time was being invaded by a ferocious Japanese franchise called Mr. Donuts. I didn't even bother to try my first one until a few more trips later—and my mind was blown. The genius addition of tapioca flour created a chewy, soft, heavenly texture; it was donut nirvana. If you ever come across a Mr. Donuts, grab what you can and prepare to loosen your belt. But if not, a satisfying adaptation can be made at home: hot, crispy, and chewy, right on your countertop. This is, of course, only recommended to people with great self control. In one large bowl, mix together all-purpose flour, tapioca flour, dry yeast, salt, and baking powder. 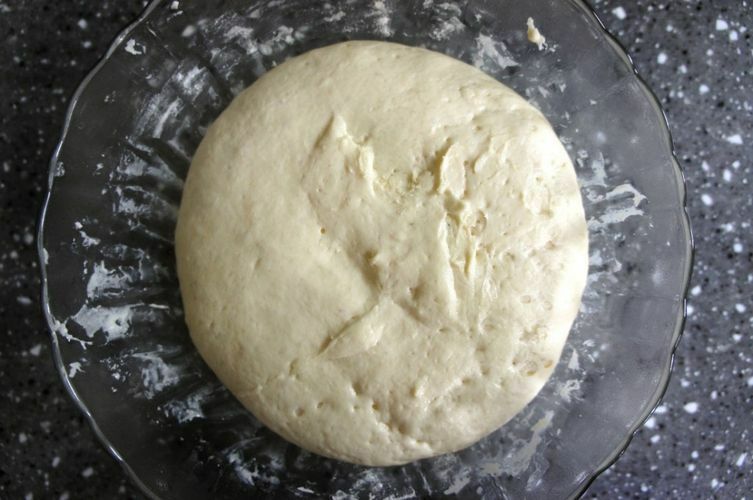 Add whole milk and stir the dough together with a wooden spoon until smooth. Then add the sweetened condensed milk and unsalted butter, and stir again until the dough is smooth and very sticky. Cover the bowl tightly with plastic wrap and let it proof at room temperature until doubled in size, about 1 to 2 hours. Generously dust the working surface with flour. Scrape the dough out of the bowl onto the surface and dust the top with more flour. Pat the dough down and use a dough scraper to fold the dough onto itself, like you're folding a letter. Turn it 90 degrees and fold again. 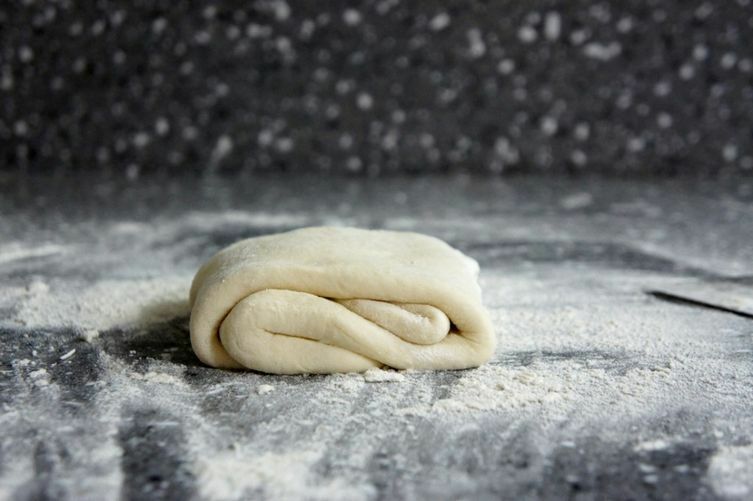 Keep in mind that this dough is very sticky and you will need to continuously dust it with more flour to work with it. Then roll the dough out into a thin sheet about 1/8 inch thick. 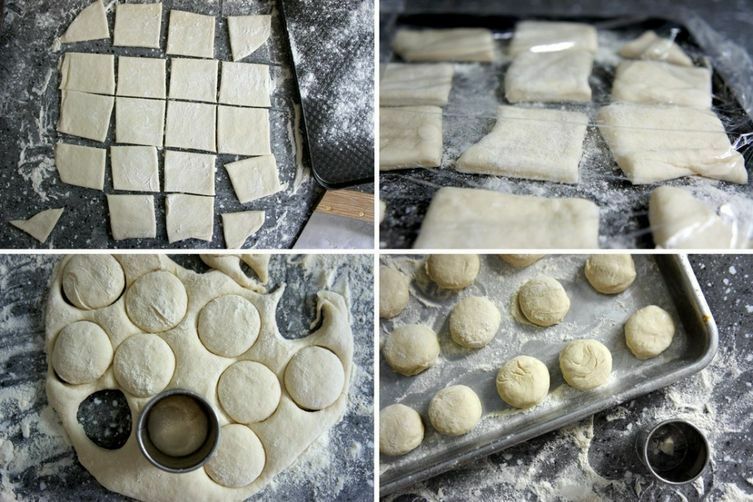 You can now cut the sheet into square shapes (which is easier and faster), or use a pastry cutter to cut out little rounds (gather the remaining dough, roll it out, and cut again until the dough is used up). Place the pieces on a flour-dusted baking sheet covered with plastic wrap. Let it rise at room temperature for another hour until poofy. Heat up 2 cups of vegetable oil in a deep and narrow pot on medium-high heat. The smaller and deeper the pot is, the less oil you’ll need for frying. Once you stick a wooden chopstick into the oil and it starts bubbling on the edges, the oil is ready for frying. 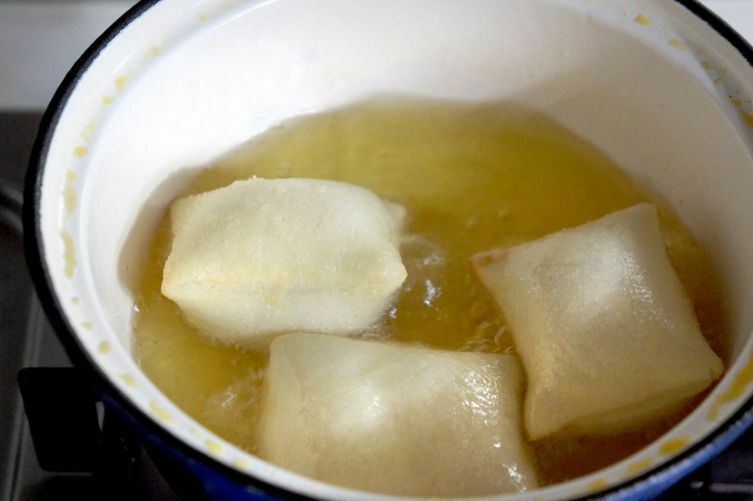 Start frying 2 to 3 pieces at a time. Once the dough gets heated, it will start to puff up. Flip it immediately before the first side gets browned—otherwise, it will always revert back to the same side because of the air on the inside. Keep flipping it a few times until both sides get golden brown. Remove with a slotted spoon and place on a cooling rack to drain. Repeat with the rest of the pieces. 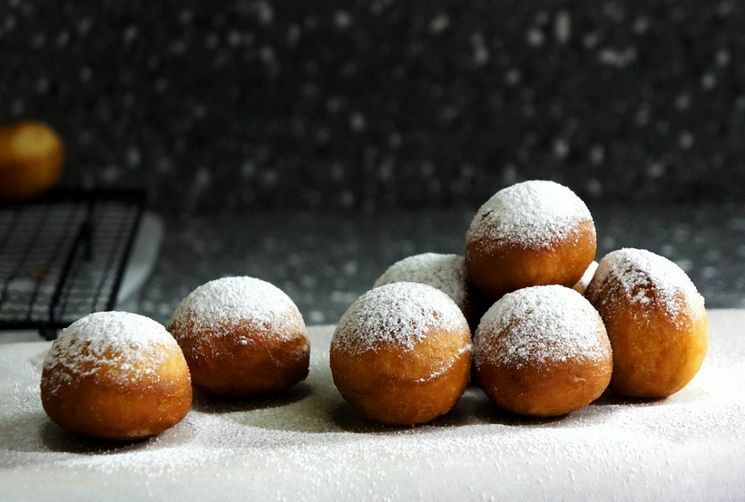 Dust generously with powdered sugar and serve while they're still warm. Made these for the first time tonight. Used cream instead of milk because that's all I had. They are ridiculously good right out of the fryer. La Tulipe in Mt. Kisco, NY has The most divine Apricot Beignets, try one! Do you have to fry them? Would they work if you baked them? I find basting helps achieve the "pop"
Tapioca is also "yucca," "manioc," "cassava," and flour and starch are the same thing for it (unlike for wheat, potato, etc.). It is probably readily available in Mexico by another name. I must make these--wow. Any thoughts on the best wheat-free flour to replace the AP flour? If you mean tapioca pudding MIX, I don't think that would work - there are other ingredients in the mix. You could buy Minute Tapioca or Pearl & use the VitaMix to turn that into the "flour" - but it's easy enough to get the right thing, so why not? The tip about flipping them regularly was worth everything...I'll be able to use that with almost anything I deep fry. Ordering tapioca flour right away! I have been cooking these for years. I live in Aleandria, VA and we call them hot puggs. Have them every Sunday morning before or after Church. Sorry, my phone writes for me... hahaha. I try to say that "I live in Mexico and never seen this tapioca flour"
Alex, tapioca flour can be easily found online. The biggest brand that makes it is Bob's Red Mill (http://www.bobsredmill.com/tapioca-flour.html), which can be purchased on Amazon. I didn't know there was tapioca flour, I live in Mexico anda bever seen it. Is there a substitution for this flour? Or can I blend the tapioca in order to get the flour? 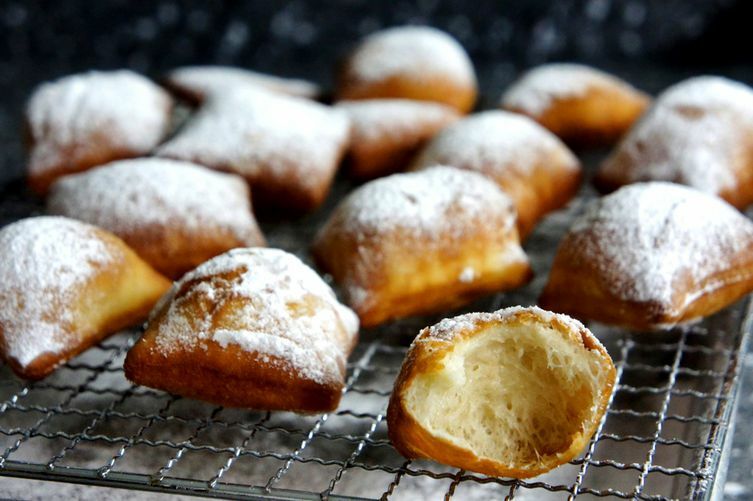 if you don't feel like making them from scratch, you can always order them from the Café Du Monde in New Orleans. These are very different from Cafe du Monde. Great to see Mandy and her amazing photography featured here! Love the sound of these - the chewy texture the tapioca brings. Thank you for sharing this. 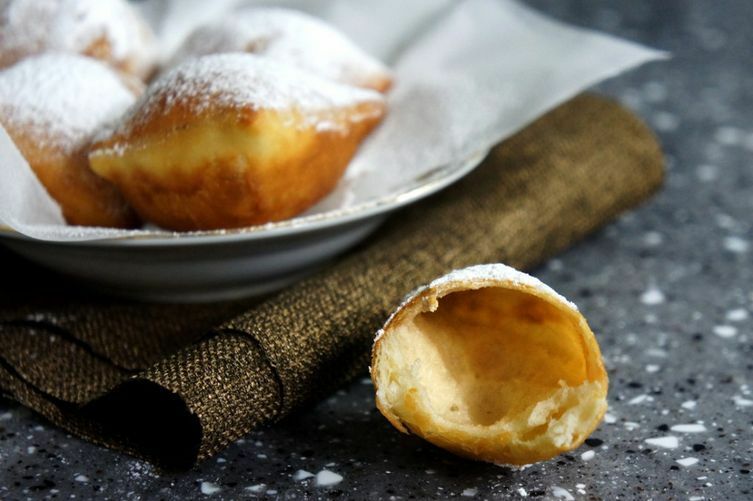 In in Nigeria we have beignets, but we call them puff-puff!